After a busy summer we had a quiet September. No public performances just the regular Monday meetings at The Fingerpost and our monthly visits to Twang! at Seven Miles Out and to The Crown. 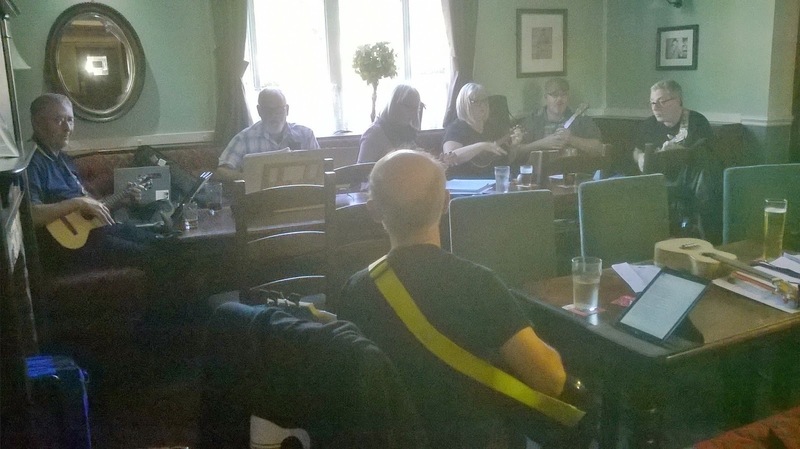 On Sunday 16th we returned to The Nelson Tavern for a pleasant afternoon of strumming. Thanks to Lin for the chip butties!